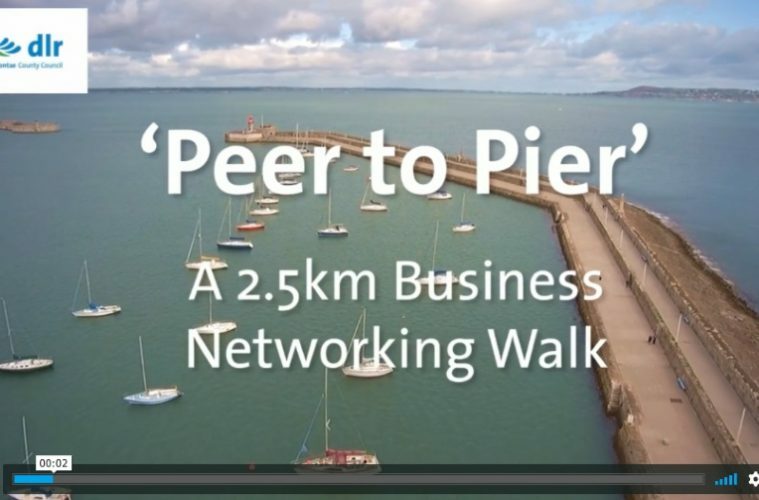 Dublin’s second ever ‘Peer to Pier’ networking walk takes place this Friday with hundreds of business people and entrepreneurs due to take part. Organisers expect that sunshine and temperatures of 17C, together with free Teddy’s ice cream for participants, will result in upwards of 300 people attending the event on Dún Laoghaire’s East Pier. The LEO office in Dún Laoghaire-Rathdown is holding the event to build on the success of the inaugural Peer to Pier walk last month. The innovative and fun format proved very popular with the hundreds of people who attended and prompted calls for a second event. “We want entrepreneurs and business people from all over Dublin to join in. This event is pure networking. It’s outdoors and structured but it’s also relaxed and fun. I think people are more relaxed when they are walking, which removes the awkwardness of some networking events. It’s open to everyone, no matter their business or sector.